The LG is an ultra wide 29″ monitor which will nicely span the length of your desk giving you ample space for Windows and gaming. The Ultra wide format is gaining in popularity with many choosing this over a traditional dual screen setup. With only one screen you save power, save GPU processing resource and don’t get an annoying bezel in the centre of your view! 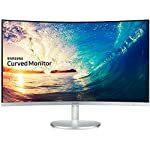 With a 21:9 screen ratio you get a much wider monitor that the traditional 19:10 wide screen configuration that you’ll find on nearly all modern television sets right now. 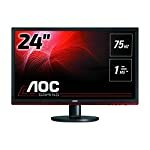 This monitor also comes with FreeSync built in which instantly makes it appealing to any gamers looking for an ultra wide with the anti tearing adaptive sync system built in. You’ll need a compatible video card, which really means an AMD Radeon, if you want to use this feature. The monitor will work with a Nvidia card, you just won’t be able to engage FreeSync. There is a larger 34″ version of this monitor but remember that this is a 1080p screen. Many will say that 29″ is a decent size for this resolution but as you start to go bigger you might want to consider higher pixel densities, for example a 1440p screen. 1080p on a 29″ ultra wide format should be fine. The monitor has a slick black shiny finish with simple lines and a thin bezel. LG have resisted the need to give it a “gamer” finish which for me is a good thing. I want my desktop to look professional but that’s just me, you may prefer a different look. The stand is simple and elegant, and also sturdy which is what counts. Some minor assembly is required but nothing that you should struggle with. VESA fixings (75 x 75) are included if you wish to mount the LG. The super thin bezel is worth a mention, they have kept the display border to a minimum here and it’s a great look. Connectivity won’t be a problem, this screen comes with 2 HDMI ports, a Display Port and a DVI-D thrown in for good measure. It has built in speakers for those that need them. The LG is based on an IPS panel which provides for superior colour accuracy and viewing angles. This means you can view the screen from off center and still get a decent image. The ​LG 29UM67 is a 1080p monitor, you won’t need top range kit to run games on this at high quality settings. Remember, things get more demanding quickly when you jump to 1440p and let’s save 4K for the enthusiasts right now. Gamers are catered for thanks to gamer friendly preset modes, decent response times and of course AMD’s anti tearing technology FreeSync. Note that FreeSync operates between 48 to 75 Hz on the LG, this means that you will drop out if your frame rate drops below 48, which seems quite high for the lower limit to me. If you struggle to get above this in your favourite games you would need to think about dropping the graphics quality to take advantage of FreeSync. This doesn’t have to put you off, if you like the screen and think a GPU upgrade is on the way then this could still be a sensible buy. We give the ​LG 29UM67 a 4 out of 5 rating. Want to know what existing owners of the monitor think? You can read real user reviews here. 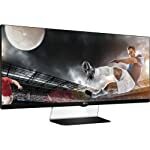 Should I buy the ​LG 29UM67? The ​LG 29UM67 is a great gamer friendly ultra wide format monitor for those happy to stick with 1080p. If you are having some doubts about this purchase then why not read some real owner reviews and see what other buyers think. 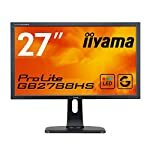 Welcome to the ​LG 29UM67 FAQ. This section attempts to answer common questions you may have, please get in touch if you have any more queries or if you think our answers need updating. What are the exact dimensions of the viewing area?